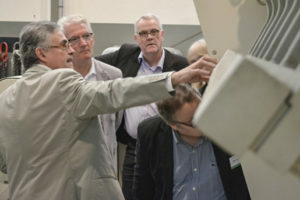 The annual meeting of the ECTS Group (European Ceramic Technology Suppliers) was held in Barcelona on 19 and 20 October. It is an association that brings together the main European suppliers of Machines and Services for manufacturing structural ceramic products. Its members include engineering companies, machinery manufacturers (including Verdés), as well as manufacturers of refractory materials and moulds. The meeting began on the 19th with a visit to the Talleres Felipe Verdés S.A. facilities in Vilanova del Camí (Barcelona). During this visit a total of 29 people, representing the 18 participating companies, had the opportunity to observe and follow in detail each of the necessary steps for the Verdés machines manufacture. 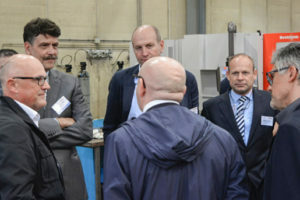 The visit began at the Materials Testing Laboratory and continued through the different areas involved in both the Technical and Commercial departments, and of course, the Manufacturing and Assembly sections, where a tour of all the process areas was carried out following the flow of materials from their reception onwards. First came the oxy-acetylene cutting and metal sheet handling sections, where visitors could visit the laser cutting station. 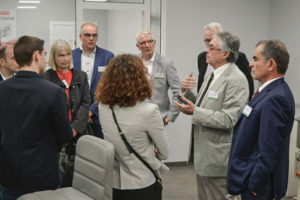 After that, the tour followed its path to the the light and heavy boilermaking areas where the company’s latest modifications and investments in productive resources were on display, including the redesign of the lathe section. 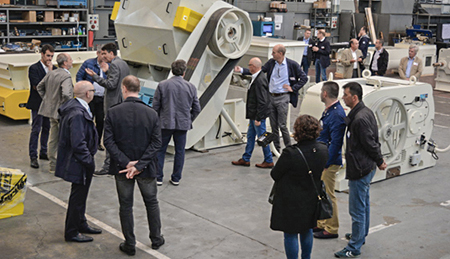 Finally the tour ended in the Assembly section, where the visitors were shown the different models of extruders, roller mills and reclaimers, which will be soon delivered to Customers of different countries all around the world. During the visit and also at the end, visitors showed their gratitude and admiration to Verdés Team members and offered congratulations for the way the day had been organized and the professionalism shown. One of the aspects that most attracted the attention of the visitors was the fact that Verdés designs and manufactures global solutions for the Heavy Clay industry, for both wet and dry processes, with a broad range of machines and technical solutions. 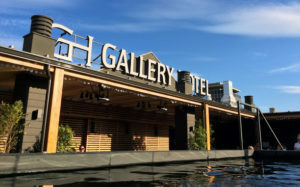 The second part of the meeting took place the next day at the Hotel Gallery in Barcelona, where the members met to review the economic situation of the ceramic markets, as well as their predicted evolution in the near future, considerations related to the environment and issues such as the sector’s situation worldwide; since virtually every company associated with ECTS is established or at least has a presence, globally. The group’s next meeting is scheduled for next year, during the celebration of the CERAMITEC 2018 exhibition, in Munich (Germany).